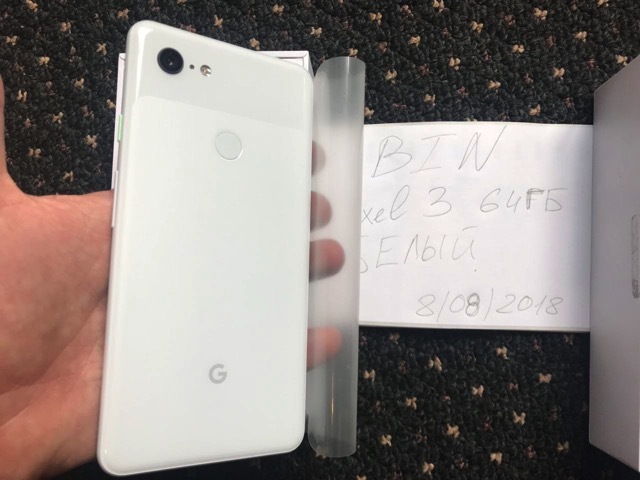 A bunch of images leaked today by a Ukrainian tech blogger seem to provide us the very first look at what appears to be a final Google Pixel 3 XL production unit (via Android Police). 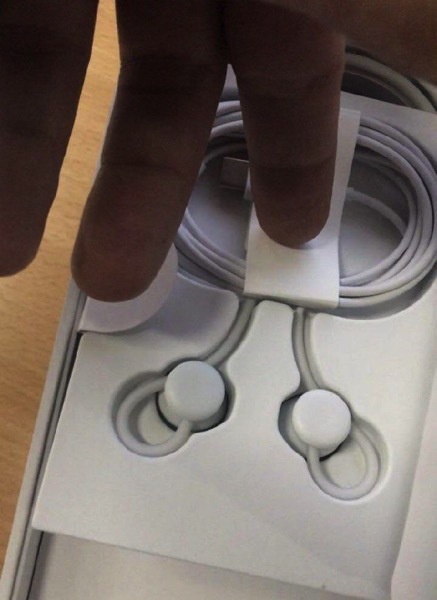 While showing the front and rear of the device, one of the leaked images also shows Pixel Bud-like wired USB-C earbuds that will supposedly come bundled with the Pixel 3. 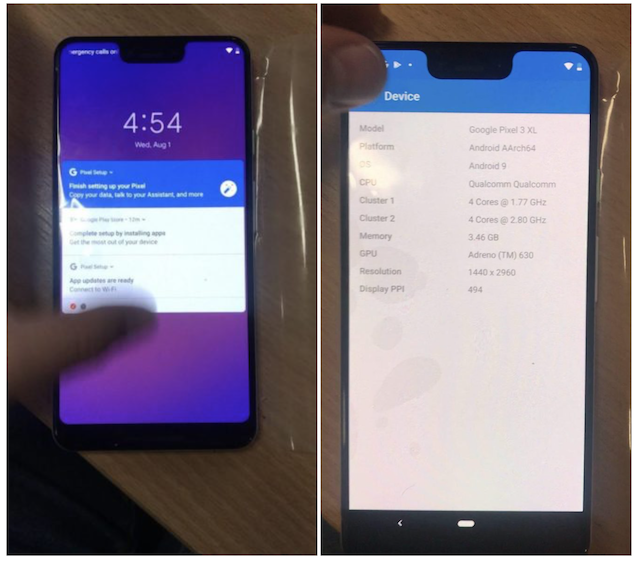 The leaked handset’s display shows Android 9 with an 8-core Qualcomm processor and an Adreno 630 GPU. 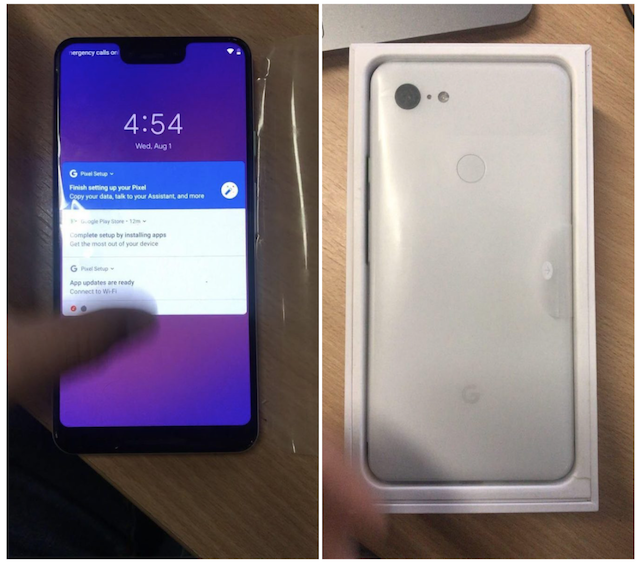 A resolution of 1440×2960 with a pixel density of 494 is also stated, and there’s also confirmation that the device will have just 4GB of RAM. The exceedingly tall notch at the top also seems to stretch the status bar with vertically centered icons. 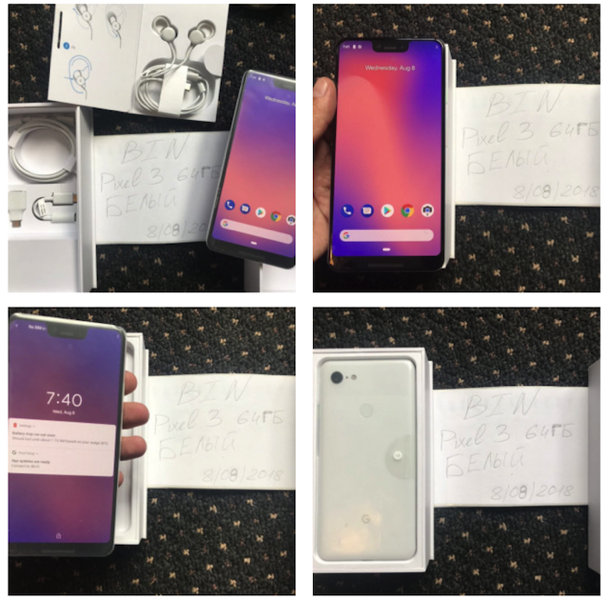 More images of the leaked handset in ‘Clearly White’ colour are shared below, whereas a quick unboxing video is also available on the source page. 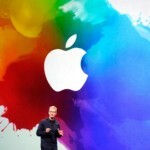 Take a look and share your thoughts in the comments section.